Calling all Ventura County Businesses! The Surfrider Foundation is working to defend U.S. coastlines from new offshore drilling. The Trump administration has released a draft proposal to expand offshore oil and gas development in the Atlantic, Pacific, Gulf of Mexico, and Arctic Ocean. Surfrider chapters are mobilizing coastal communities to speak out against this threat. 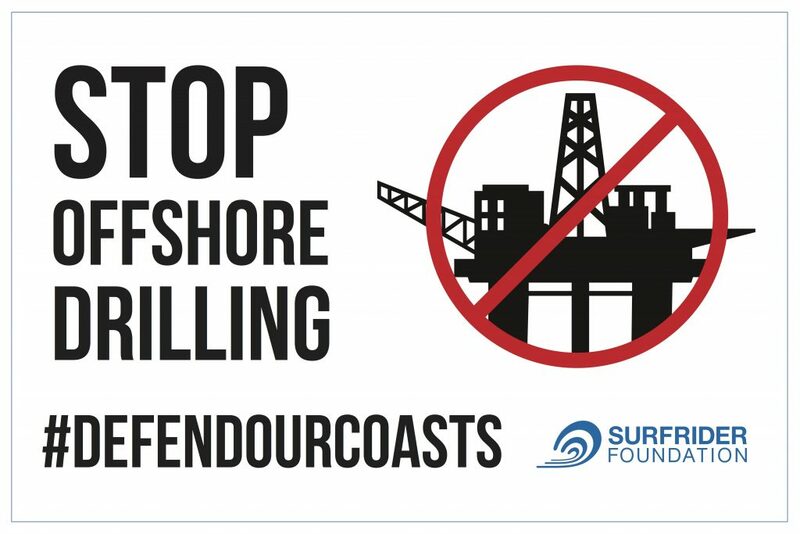 The Sign the Surfboard project is a unique petition designed to demonstrate opposition from coastal businesses that depend on a clean and healthy coastal environment. From March to November, a donated Firewire surfboard will travel from San Diego, CA to Bellingham, WA visiting local Surfrider chapters along the way. We’d like to invite businesses like yours to sign the board and join the Business Alliance to Protect the Pacific Coast (BAPPC). BAPPC is free and easy to join! The Ventura County Chapter will be hosting the surfboard the week of May 14. Opportunities to sign the board will be available throughout the week. The biggest event will be Hands Across the Sand at the Ventura Pier on May 19 from 11 a.m. to 1 p.m. To schedule a signing and take part in this event, please contact Sadie at vicechair@ventura.surfrider.org or add yourself to this Google Sheet. A limited number of individual appointments (we bring the board to you at your place of business! how convenient!) are also available. Just email vicechair@ventura.surfrider.org to schedule one! And of course, Hands Across the Sand! Saturday, May 19, 11 a.m. to 1 p.m., south of the Ventura Pier! Don’t miss out; be a part of our movement and SIGN THE SURFBOARD! 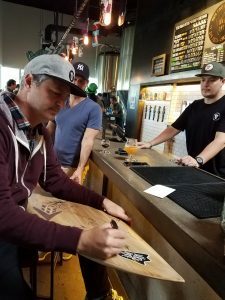 A surfboard signing in San Diego. This could be you!